High end service at an affordable price. 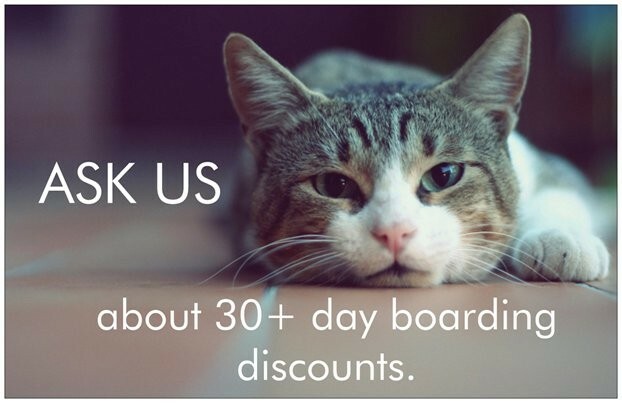 We offer individual rooms in three different sizes, each with a multi-cat capacity (depending on the weight of your cats). 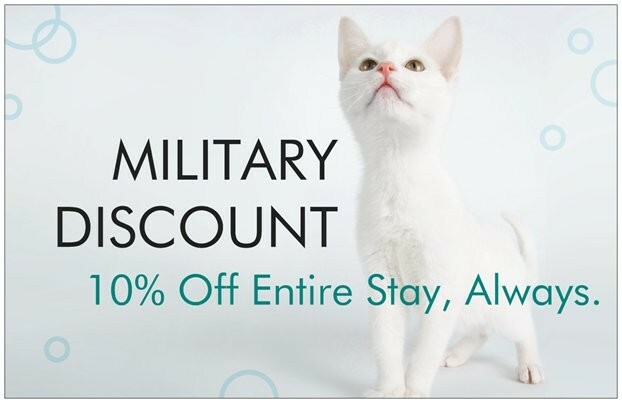 For families with more than the maximum allowable occupancy (or for those very lucky pets! ), we can convert our condos into Doubles (or more!) with lockable passageways connecting it to its neighboring condos. In all cases, your cats will never come in physical contact with other family's cats. Medications are charged a flat daily rate, even if your cat gets multiple doses per day. Additional medications of a different type will be charged a separate flat daily rate. We do not charge for non-prescription dietary supplements like probiotics, CBD etc. that are simply added to food and not physically administered to the cat. There is a $15 cancellation fee for all cancellations. Non-holiday cancellations with less than 48 hours notice will be subject to a $25 cancellation fee. Deposits are non-refundable for no-shows and same-day cancellations, regardless of the reason. All holiday cancellations will be subject to a $50 cancellation fee. Holiday cancellations with less than 96 hours notice will forfeit the entire deposit.